If any of you read my previous post you’ll know my opinion on how gadgets are starting to become an integral part of our every day lives. One recent trend I’ve seen is an ever increasing number of gadgets hitting the market to help monitor sleep. We live in a society that’s craving information & with the ability to learn more about your sleep patterns would you actively use (or even purchase) a device to see such information? It seems some people really are interested in learning more about their sleep patterns, potentially with a desire to try and improve the ‘quality’ of their sleep?¬†Have any of you tried one out? Just to name a few… The FitBit, Sleep cycles (IOS app), SleepBot (Android) and the Jawbone UP, what are your thoughts and experiences? 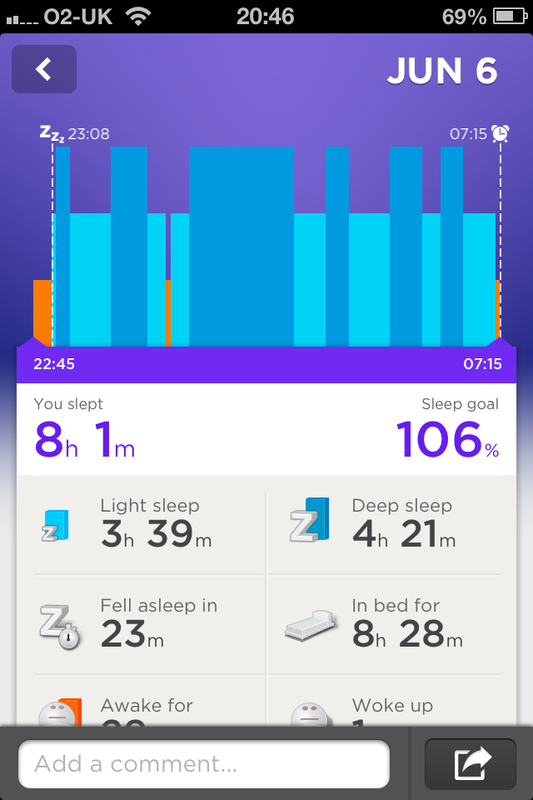 This was something I never considered until I got my new Jawbone UP, this is a gadget I use for general activity tracking and sleep tracking just came as an additional feature. Although it is interesting I personally cannot see what value this information adds to my day-to-day life. If you’ve had a bad nights sleep you generally know it (you don’t need to be told) and in my opinion I think it makes you feel worse! I must admit that sometimes the information it provides can be interesting but I just feel like there is no way I can actually “use” this information in any way; it’s not going to help me change anything about my sleeping patterns. So interestingly it seems that a deep sleep is a rare occasion! So we get some insight… but what use can we make from such information? Are we reading into things too much? Do we have too much information available to us these days?